Did you make it through the July 4th weekend in one piece? July’s a great month for me, following Independence Day(not the one with Will Smith) there was also my best friend’s birthday, which was yesterday…my hubby’s birthday coming up on the 13th and mine and my hubby’s anniversary on the 19th! Wow! Two of the most important people to me’s birthdays and my wedding anniversary ALL in one month. Oh…and of course 5(my lucky number!) Fridays too in July! Here’s the second serving of 5 question Friday for the month of July…..you know what to do if you want to answer too, right? Answer in the comments or on your OWN blog! I had heard schools were thinking of getting rid of cursive writing and I can sort of understand it because honestly, I only use cursive for my signature and when forced to…..The schools I grew up in actually had a class JUST for cursive writing where we not only learned it but were critiqued for every little whorl of the letter that wasn’t just so and it really annoyed me to be honest. I mean, I already learned “Print” when I was younger…why do I have to learn another way of writing? I came to learn it was considered a more sophisticated, professional way of writing but that didn’t keep me from writing in print every chance I could get. There’s a part of me that thinks cutting out cursive writing in school is just the first step of many in losing our writing skills, though. Kids already are so used to shortening their words when writing to friends, texting and typing on the computer and when corrected, you suddenly become the “grammar police” and since it’s not school, it’s considered OK to throw out everything you were taught. Well…honestly, this worries me because the more you practice bad grammar, bad spelling and shortening or “dumbing down” your writing, the more you get used to it and you forget the correct way of doing things. There’s even been articles on how kids nowadays when applying for jobs answer questions in their shorthand and speak unprofessionally because of the way they speak on computers…..Maybe THIS and cursive writing don’t really go together….but a part of me thinks it’s another step in losing sophistication in the English language…..DO YOU AGREE? 2. Do you still use a pocket calendar or notepad or do you keep your info on your smart phone? I do not have a smart phone….and probably will only get one when I can upgrade my phone in Dec. IF it’s affordable. The phone I have does have a calendar but I don’t really use it…I am old fashioned and use room calendars on my wall. I do usually carry a small notebook in my purse, though. I’ve actually thought of this before….I think I would pick “America’s Got Talent” if I ever got the nerve…..My husband has told me to try “American Idol” but I’ve always felt that show was based more on a popularity contest rather than talent…not to say good singers don’t make it through cause they do….but there’s just so many that slip through the cracks during the many auditions. They have to let so many “bad” auditions through as they do good….to make better TV. “America’s Got Talent” has seemed the most real out of the talent type shows for singing, anyways. I DO love to sing but I doubt myself too much and don’t think I’m as good as the others on there even though my hubby says I am. I don’t know…right now, I love being a wife and have dreams of becoming a mother. 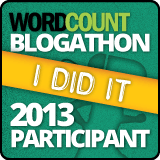 I love to blog and dream of finding my niche in writing someday. I’m only 27….who knows what may happen? Wow, sounds like there will be a lot of celebration this month! My two brothers and I are all born in February exactly a week and then two weeks apart, and even our past dog’s birthday was in February, so that is the celebration-filled month for us! I’m not sure about cursive writing either, it does seem to have little use when we only use it for signatures mainly, but I don’t think it hurts to learn it. They should probably keep teaching it. I forgot that I also use cursive writing when writing checks….I’ve never attempted printing the amount on a check and seeing if they would still accept me….they probably would but I was taught to do the amount in cursive and the signature…. I think cursive is way overrated and useless today. Cursive is a lot easier to read for everyone, including sensors on postal envelopes, etc. I do believe though we should teach our kids about calligraphy and all the various fonts, so they don’t end up using the ugliest, hard to read fonts when using software like Word. Have fun with all the birthdays and anniversaries this month! I figured that’s what you meant. I just prefer print because I can write so much faster….with Cursive, I feel like I am writing so slow! Yea, you make good points there. I don’t think they are necessarily related but I do think there’s just something professional about cursive writing…. True, but I just worry because of how language skills have seemed to worsen over time…..I fear getting rid of cursive is a sign of things getting worse before they get better. 100%!!! Someone posted on FB about cursive being taken out of school and I was appalled! I can understand that in the age of computers, it’s not really used often, but can you imagine not even being able to sign your name? And what about the lost art of letter writing? When I’m just writing for me, I most often print, but if I’m writing a letter or a card, I always use cursive. It just looks nicer! 2. I carry a notebook and a day planner with me almost everywhere I go. I also have a dry erase board on my wall next to my desk and a dry erase calendar in the kitchen. I could never get into this electronic planning thing! But then again, I watch television with younger people all the time and am alarmed when I see that how much speech has seemed to worsen over the years….you look back at how people USED to talk….and now? Our speech appears to have been “dumbed down” quite a bit……I sometimes worry if we are going backwards instead of forwards and we are going to eventually be shortening our speech to that of the cave man…..yikes! I’ve never seen Pawn Stars, but I’ve watched other shows where people come on with old items and get tons of money…….I wish I had something really rare that would make ME rich as well!